But both of them use pixel-metric(?). Is it possible to use other metrics (e.g. millimeter). As a workaround, I converted pixel->millimeter, but it didn't work. There is always an odd scale factor in the conversion :-(. 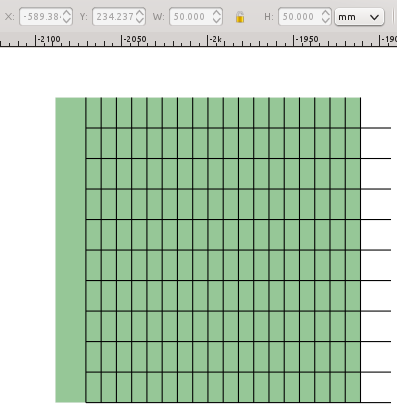 Sadly, menu Extensions -> Render -> Grids > Grid... does only take pixels as the measurement. So I am pretty sure conversion is the way to do it. I find the easiest, most accurate way to do conversion calculations for Inkscape is to do it in Inkscape. 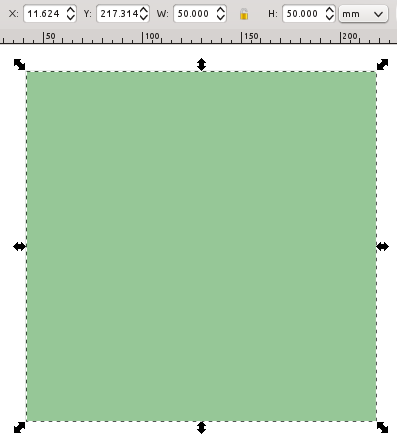 Use the rectangle tool to draw a rectangle on the canvas, then in the tools control bar for the rectangle tool, change the units to mm, and set the rectangle to the value you need (in the picture below, I set it to 5 mm square). 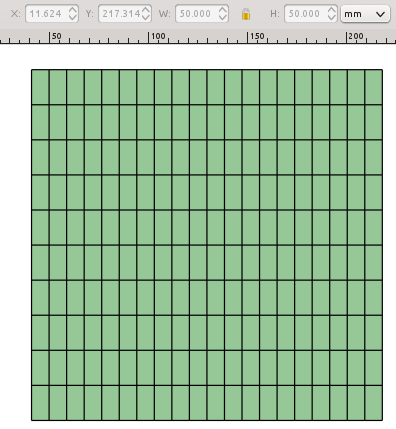 I prefer to use Inkscape's built-in document grid option. Select Rectangular Grid and hit the New button. 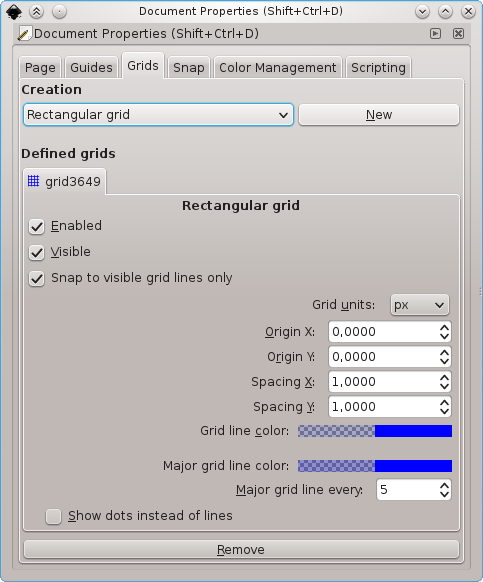 You can then edit the properties (and units) of the created grid in the same dialog. I don't know if the answer is to specific, but since their is no general solution to this problem, I cloned Inkscape and patched the grid functionality. I'll try to improve my patch, so it will be maybe in a release version one day (so please don't down-vote instantly). Until then, one has to clone my repository and build it. 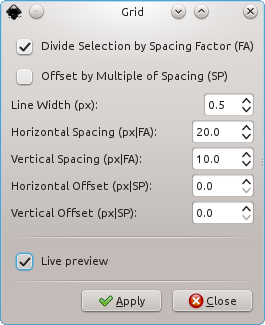 By using this option, one can use the factor given in "Horizontal/Vertical Spacing" as subdivision factor for the selection. Not the answer you're looking for? Browse other questions tagged inkscape grids pixel or ask your own question. Can you recommend a book on Inkscape?